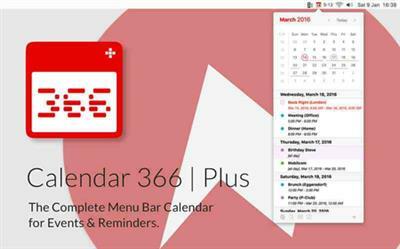 Calendar 366 Plus is the complete menu bar calendar app. Click on the icon and get an overview of your events. Click on a date and see details or switch to the expanded view to see all upcoming events in just a single window.